Is $40 too much to pay for Windows 8? I've wondered for months exactly how much Microsoft would charge consumers to upgrade to its newest operating system. Starting with Snow Leopard, Apple slashed 100 bucks off the price of OS X, and the next version -- soon-to-release Mountain Lion costs even less: $19.99. With Apple so lowering the price-to-value proposition, could Microsoft continue to charge so much? Yesterday, the software giant answered by offering, for a limited time, a seemingly attractive upgrade price for Windows 8 Professional: $39.99. The pricing, available only through January 31 from when Windows 8 is available, applies to all versions back to XP -- and it's a big discount: Windows 7 Home Edition upgrade lists for $119.99 and Pro for $199.99, although street prices tend to be $30 and $50 less, respectively. Still, Apple has set a major operating's value much lower and the benefit to customers much higher. Microsoft's $39.99 price is only available direct, and users must make their own backup image or they can purchase a CD for $15 more. Anyone looking for a DVD, at retail, can expect to pay $69.99. What seems to be missing: Multiple upgrades for one purchase. I say seems since Microsoft may announce this option later -- or not. Mac users get it today. They pay 30 bucks for OS X Lion and install it on multiple Macs. Presumably, as has been standard licensing practice in the past, Microsoft will offer one-to-one upgrades: so it's $40 for each PC. From one perspective, Microsoft's launch upgrade price is a magnanimous discount: $40 for Pro instead of $200 and available even to XP users. Apple still offers more for less, although users pay a premium price for hardware compared to Windows PCs. From that perspective, Microsoft provides lots of value, because the hardware costs can be so much less to begin with. But how much of the value is real? That's versus public relations. If you're running XP on a 5 year-old PC are you really going to upgrade to Windows 8, which is better optimized for touchscreen than your mouse and keyboard? BetaNews reader Sourabh Mokhasi expresses my concern: "Windows 8 will run crappy slow on PC's designed to run Windows XP. What's the use of offering an upgrade to Windows XP users?" Craig Simpson: "A 10 year-old machine can't run Windows 8. I tried installing Windows 8 on a Pentium 4 with 2GB of RAM to see if it would work and it completly refused to install". You will be able to upgrade from any consumer edition of Windows 7 to Windows 8 Pro and bring everything along which includes your Windows settings, personal files, and apps. If you are upgrading from Windows Vista, you will be able to bring along your Windows settings and personal files, and if you are upgrading from Windows XP you will only be able to bring along your personal files. Of course, if you want to start fresh, you can choose to bring nothing along. Or if you prefer to format your hard drive as part of your upgrade experience, you can do so as long as you boot from media and then format your hard drive from within the setup experience for installing Windows 8, not prior to it. Did you catch that? Consumer edition. The offer isn't available to everyone. Unless there's clarification from Microsoft otherwise, you can't go from Pro to Pro for that pricing. I ask again: Is there real value here or some smart public relations maneuvering? Something else: Value to Microsoft is different for its OEM partners. Manufacturers prep swank new Ultrabooks and tablets for holiday release. They're looking to recharge PC sales. Then suddenly Microsoft plays the Grinch, by offering consumers running Home editions a cheap upgrade to Pro. They can keep their older PCs and move up. Of course, the real value proposition will be touch and some users will upgrade to get it. What I keep wondering: What is the Microsoft leadership thinking? Does the temporary pricing respond to Apple, which will release Mountain Lion this month? Is there growing lack of confidence PC users will upgrade to Windows 8. Wow. I see a number of possible reasons. 1. Competition has eroded Window's monopoly to the point where it can't charge $99 for an upgrade without losing market share. 2. Microsoft thinks it can make up for the lost revenue with new revenue from the Metro Store and SkyDrive. 3. Microsoft wants people to get hooked on Metro so they'll be more open to Surface and Phone. Think of it this way. For your typical user, Windows 8 isn't all that different from Windows 7 with the one exception of Metro. Microsoft is essentially selling "Metro for Windows" for $40 under the banner of Windows 8 to make it more attractive. Perhaps the answer to those questions are less important than the one to mine: Is $39.99 too much for you? Or is it just right? Some of you already have commented about your intentions. Shawn Plaugher: "No Thank You!" "Even if it were free, I see only downside in upgrading from Win 7 to 8 -- it's an absolute UI mess", markbyrn comments. Yeah, Metro isn't winning popularity contests. Microsoft will offer a limited-time $39.99 upgrade to Windows 8 Pro from older consumer versions, including XP. Will you upgrade for this price? "I would not upgrade Windows 7 to Windows 8, even if the upgrade was free, and I really do mean that seriously", Aires_OFFICIAL writes. "In my opinion this is a real-time downgrade. I don't care what it's got under the hood' I don't care how tight the code is; I don't care how many man hours have been put into this; I don't care how modern and up to date it is. I care about how it functions and its ease of use. For a PC -- major fail. Big. Huge". I am a devout apple hater. If I was given an icrappy, I would throw it in the bin or flush it down the toilet. I have always been a Microsoft user. 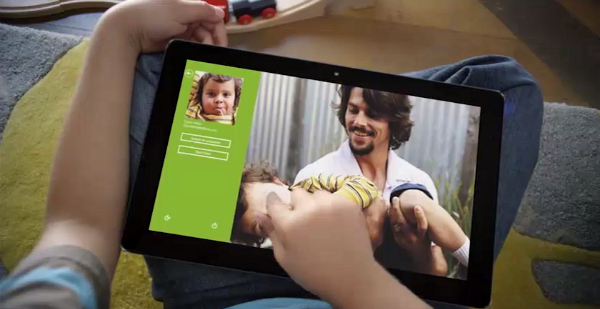 But for the life of me I have no idea why they are doing what they are doing with Windows 8. It's stupid and can't be used properly with a kb and mouse. Heck even with touch it doesn't really work properly. It is a jack of all trades and a master of none. yes there is some nice features in windows 8 but they are completly overshadowed by the stupid and absurdly difficult user experience. The majority of comments we have in hand are negative, which is one reason I want to explicitly ask about pricing and get reaction to it. So I'll ask in a couple different ways, and you can chose question(s) to answer: Is $39.99 too much for you to pay for Windows 8 Professional upgrade? Will you upgrade to Windows 8 Pro for $39.99? What price would you pay to upgrade to Windows 8 Pro? Please answer in comments below and take our poll above.